A true genius when it comes to extreme pumpkin carving, Ray Villafane’s work is easy to recognize. Learn more about the man himself, and watch a video tutorial on how you can do the same! Here I have listed several websites that have free pumpkin patterns available so you can choose that perfect one. Some of the sites also feature carving tips and other interesting information. 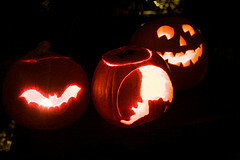 I have also posted a video that shows you the process of carving a jack-o-lantern from a pattern. I hope this helps you find what you need to carve your pumpkins this Halloween! One of our local pumpkin patches located at First United Methodist Church, is one of many throughout the area. Proceeds benefit our youth missions and other causes. If you live in the area, I hope you will consider picking up your Halloween pumpkins here. It will make you feel good to know you are helping many with your purchase. It’s The Great Pumpkin Patch! 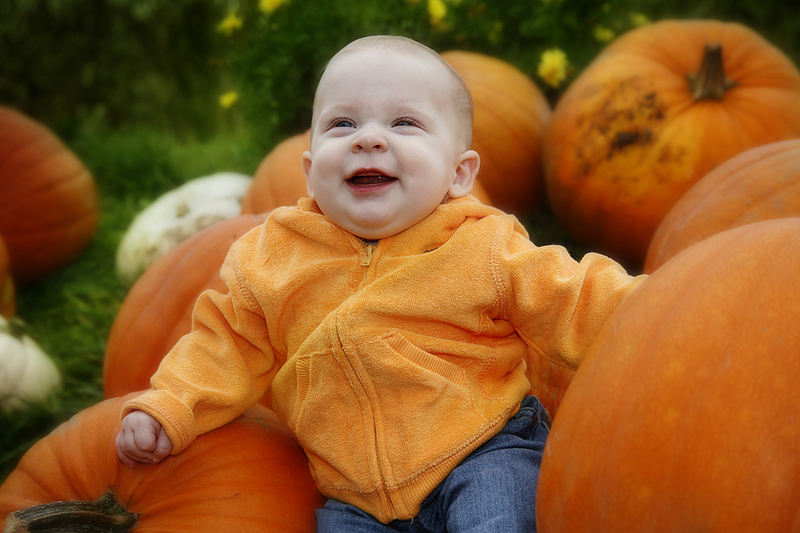 Nothing quite goes together like October, and a child in a pumpkin patch! I smile every time I see the look on a child’s face when they are in a sea of pumpkins. This is one of the things I revel in during the Halloween season. I just love this time of year! 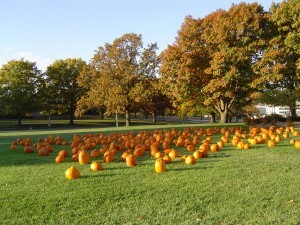 Many communities have at least one pumpkin patch that you can take your kids or grand kids to. Make plans to do so, and don’t forget to take the camera or video camera along. You wouldn’t want to miss out on these memories now-would you? Most people can carve a pumpkin for Halloween. Did you know that there are some folks out there that take their pumpkin carving very seriously? 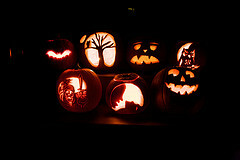 Extreme artists use a variety of methods when it comes to carving up the old gourd for Halloween. Not only will they use chisels and power tools that are common to woodworking, but other, more extreme methods are also used.